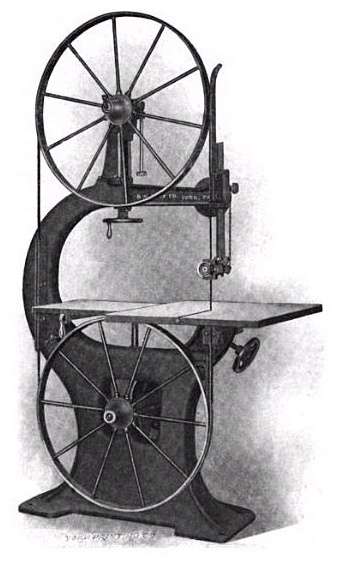 19th century knowledge carpentry and woodworking pattern b bandsaw, published 1908 in Wood craft: a journal of woodworking by the Gardner Printing Company. Image found on Wikipedia Commons. Image copyright has expired and is now public domain.